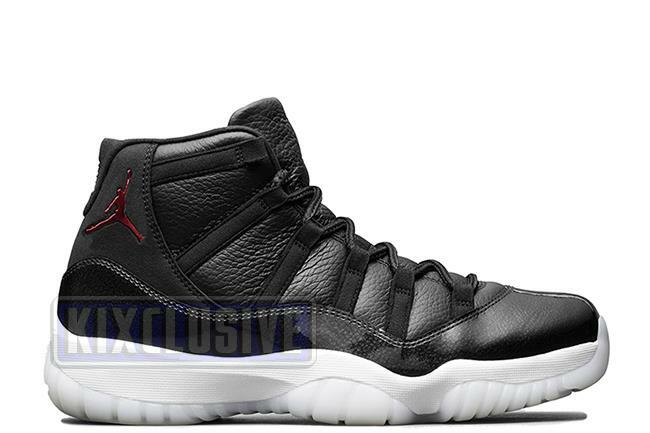 Info: The Jordan 11 was Michael's shoe as he carried the Bulls to a NBA record 72-10 season in 1996. This never before seen colorway features red accents, an iridescent glossy patent leather and a thick leather upper material instead of the traditional mesh. Other details include an embossed Jumpman logo on the back heel instead of embroidered, a blackout 23 on the upper heel, along with black and red carbon fiber and the numbers 72 and 10 on the lace tips. December 2015 limited gradeschool release.